Although not old school, so to speak, I would like to see some ski boats without towers. I guess because ours doesn't have a tower...yet. We haven't decided if we want to put one on because we like the way it looks really low in the water. 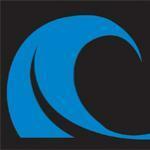 Our Response is brand new - But it's a CB and no tower! 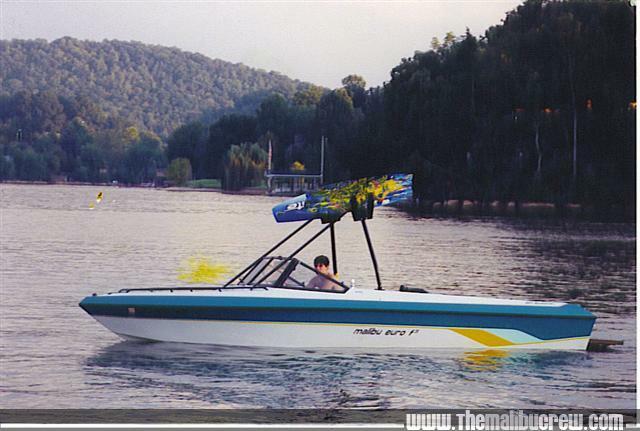 Although not old school, so to speak, I would like to see some ski boats without towers. I'll take one later today....I got no rollbar on the sporty. Consider carefully whether you want to do that...I ski behind two different RLXi's, one with a tower (w/speaker, racks,...) and one without. The one without definitely has a smaller, softer wake. Not that the one with the tower is unskiable, it still has a very nice wake, but the one w/o is better. 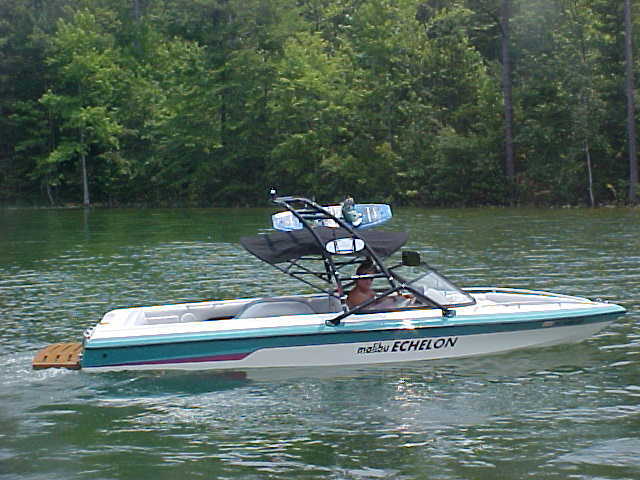 Here's my 94 Echelon LX, more pictures in my gallery. I have to say that I don't notice any difference in my wake now that I have a tower than when I did not, although the ProFlight tower is very light and I do not have it loaded with speakers. I hear'ya. We'll probably leave it alone. It looks soooo good. I wish I could upload pictures, but I haven't become a paying member yet. 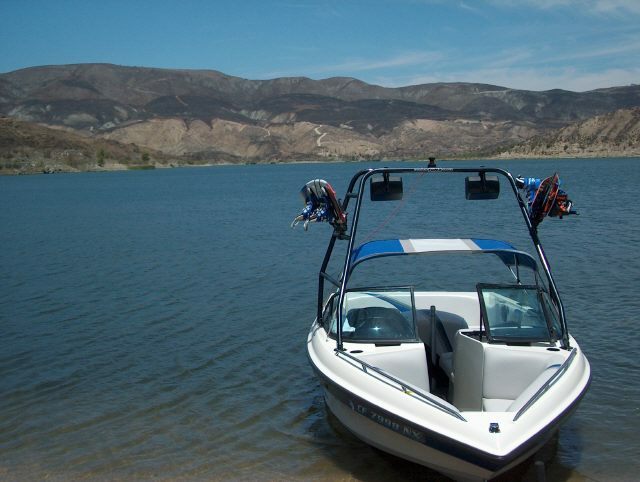 There is something really cool about a ski boat's low profile in the water. Especially the Responses. 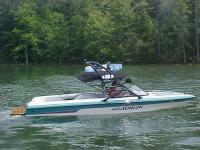 Well I know the Titan tower only weights 60 pounds, not really enough to change the wake that much. 60 pounds for the tower...+ speakers, lights, racks,...it turns into a couple hundred pounds (or more) real quick and that is like having an extra person (or two) in the boat. Here is my old Supreme and my Echelon before tower. Have ya heard of a scanner? 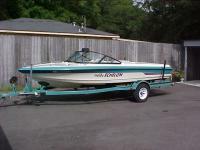 I use to have a '92 mystere 215, but don't have any digital pics of it. I did a poll on this. A large portion of the site is 2001 or newer boats. My old 92 ! Loved that boat! our 2000 VLX that got sold for a 2004 sunscape brought tears to my mom's eyes!! The night before we sold it, while I was waxing it up, she came running out of the house and pled with me and Dad not to sell. It was a moment that was only topped when he and I showed up with the replacement! nonetheless, we have had pre-2000 bu's...I miss 'em!!! 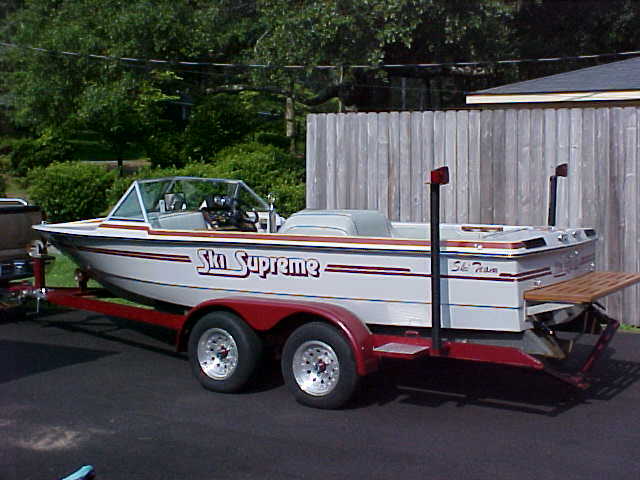 a lot more people can afford a new boat than can appreciate a pre-000 ski boat...props to those representin!!! 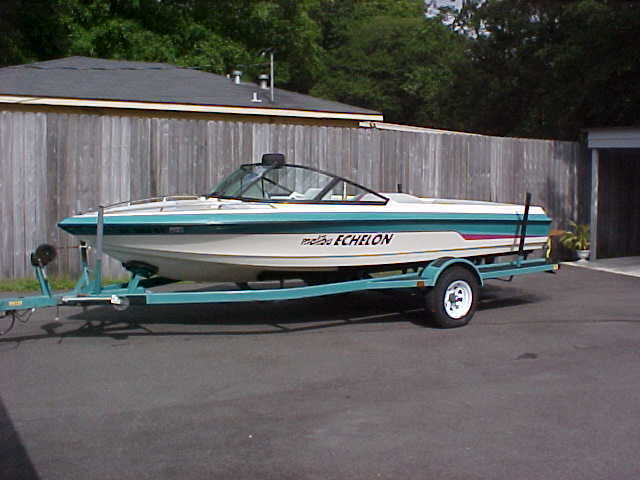 I agree with all of you guys about the "low profile look"...I remember when I was little and I saw a "nice ski boat" for the first time it was an early 90's nati......I love the way my 92 malibu looks in the water.....I will get a pic. 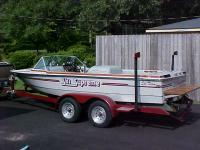 I don't think I can load a picture of my '92 Flightcraft but if anyone wants to see a low, sleek boat it is pictured on Jason's site. PS I use the same user name there.